Kim Chung Ha has released her first teaser image. It looks like she'll be going for a mermaid-esque theme this time around in light pinks and blues, complete with pearl freckles. 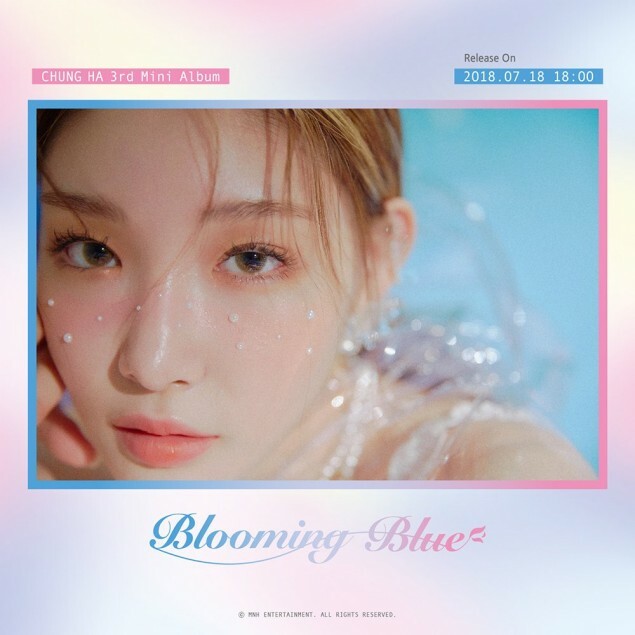 After this, she'll be rleeasing a second photo teaser on the 11th, followed by a tracklist on the 12th, her first MV teaser on the 13th, an album highlight on the 14th, and then a second MV teaser on the 16th before her full comeback with 3rd mini-album 'Blooming Blue' on the 18th.